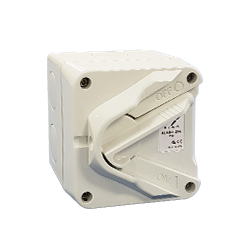 As always, Stag Enclosed Isolators offer supreme value for money without compromising quality. Our new RCM approved lever handle isolators, made from high quality flame retardant materials and sealed to IP66 rating, are tough and durable and suitable for most applications. 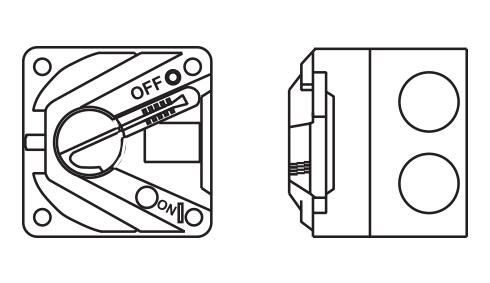 Stag Enclosed Isolator enclosure boxes come with dual 20mm and 25mm gland knockout holes, making them exceptionally versatile. 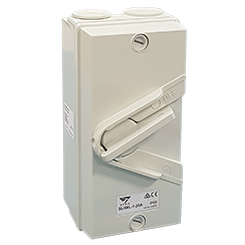 Small body enclosed lever isolators are available in 1 & 2 pole versions from 10A to 20A, and large body enclosed lever isolators are available in 1 & 3 pole versions from 20A to 63A.